Mohamed obtained his LLB and LLM, in Public Law, from Alexandria University – Faculty of Law in 1992 and 1995 respectively. 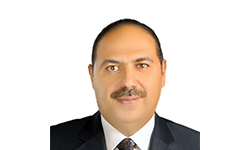 Mohamed joined Eldib in 2000 and became the head of Criminal litigation in 2004. Mohamed was admitted before the Egyptian Court of Cassation in 2010. Since joining Eldib Mohamed has dealt with a wide range of business crime matters. He has particular expertise in criminal cartels, extradition, corruption, mutual legal assistance. Mohamed handled high-profile cases for different individual and multinational clients within his areas of practice which includes: Criminal appeals, criminal defence, drug crimes, felonies, forgeries, misdemeanours, money laundering, and weapon charges.